Between 2011 and 2029, ten thousand Americans will be turning 65 every day. By 2030, when all the Baby Boomers will have reached that age, the cohort of Americans 65-and-over will have increased from 40 million to over 88 million, comprising 20 percent of the population. At attaining age 65, Americans have an average life expectancy of 20 more years with three of those 20 years characterized by progressive chronic illnesses and diminishing physiological reserve, often leading to frailty. For those living past 85 years, many will have multiple chronic conditions including serious cognitive decline and functional limitations requiring assistance. Yet, most of these older adults will prefer to remain in their own homes until they die. They are more concerned with maintaining maximum independence and functional status by dealing with the symptoms they are experiencing than undertaking unwanted medical and surgical interventions. To help these older adults maintain their independence requires a sufficient number of workers trained in various health care professions who can work as a team to manage specific diseases as well as multiple chronic conditions. Geriatricians and geriatric psychiatrists are two health care professions that can help the growing number of older adults with complex care needs and their families fulfill their desire to maximize functional status and independence. If residential care is required, they can assist the patient and family in making this transition and can continue caring for them in the long-term care setting while still working to maximize functional status and maintain dignity. A geriatrician is a medical doctor who is specially trained to meet the unique health care needs of older adults. Illnesses, diseases and medications may affect older people differently than younger adults and older patients often have multiple health problems and take multiple medications. Geriatricians prevent, manage and develop care plans that address the special health problems of the elderly, while prioritizing the patient’s goals. A geriatric psychiatrist is a psychiatrist trained to meet older adults' mental health needs and address specific syndromes seen in the elderly. The rate of geriatricians and geriatric psychiatrists entering the workforce is dwarfed by the pace at which the population is becoming proportionately older. But even as the aging boom accelerates, the number of geriatricians in the U.S. has remained at around 7,000 for more than ten years. Likewise, the number of geriatric psychiatrists is less than 2,000. Geriatricians and geriatric psychiatrists first graduate from an accredited allopathic or osteopathic family medicine or internal medicine residency program, or psychiatry residency program, then must complete a geriatrics fellowship training program. The small number of certified geriatricians and geriatric psychiatrists do not reflect a lack of fellowship positions. In the past three academic years, more than 40 percent of these positions went unfilled. Annually, less than 300 physicians graduate from a geriatric medicine fellowship program and 60 from a geriatric psychiatry fellowship program. 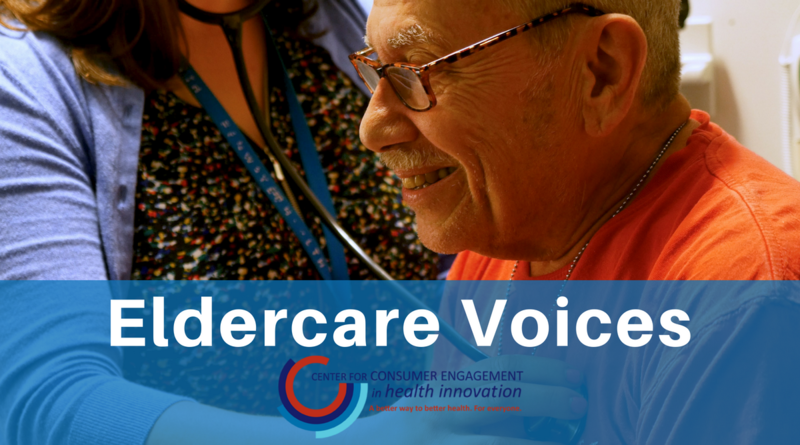 Nonetheless, this small elite workforce strives to ensure that every older adult receives competent geriatric care to meet their health concerns and care preferences. While workforce training goals for an aging population include recruitment and training of geriatricians and geriatric psychiatrists, it also includes other health professions such as nurse practitioners, pharmacists, physical and occupational therapists to ensure all health profession providers have the skills to provide older adults with evidence-based, individualized and coordinated team-based care that prioritizes patients’ goals, function and quality of life. To help accomplish these goals, the Health Services and Resources Administration (HRSA) launched two programs. In 2013, the National Center for Health Workforce Analysis within HRSA established three affiliated research centers to address specific workforce topics related to an aging population. The Health Workforce Research Center at the University of California, San Francisco, focuses on long-term care. The University of North Carolina’s Health Workforce Research Center focuses on flexibility in professional roles, new types of workforce members and the creation of a workforce prepared to work in new models of care. The State University of New York-Albany Oral Health Workforce Research Center studies the oral health workforce and its ability to provide services to vulnerable populations, such as older adults in institutional settings. More recently in 2015, HRSA established the Geriatrics Workforce Enhancement Program (GWEP) by awarding more than $35 million to 44 organizations in 29 states (grant recipients are 25 schools of medicine, 10 schools of nursing, a school of social work, two schools of allied health, a certified nurse assistant program and five health care facilities) to prepare the health care workforce to respond to the needs associated with advancing age by identifying the specific interprofessional geriatrics education and training needs of their communities and developing a program responsive to those needs. GWEP aims to improve the quality of health care for older Americans by: (1) Changing clinical training environments into integrated geriatrics and primary care delivery systems; (2) Training providers who can assess and address the needs of older adults and their families or caregivers at the individual, community and population levels; and (3) Delivering community-based programs that will provide patients, families and caregivers with the knowledge and skills to improve health outcomes and the quality of care for older adults. To help coordinate the activities of the 44 organizations, the John A. Hartford Foundation funded the American Geriatric Society (AGS) to create and oversee a GWEP Coordinating Center to serve as a strategic resource on projects to increase the number of doctors, nurses, social workers and other health care professionals trained to care for America’s growing older adult population. Across this three-year initiative, the AGS will provide assistance to GWEP sites through national meetings, networking opportunities, mentoring, a centralized repository of resources for professional and public education, and site visit consultations with geriatrics experts. Knowing how urgent the need to adapt our workforce’s knowledge base to meet our demographic realities, we embrace this work with high hopes for progress over the coming years. 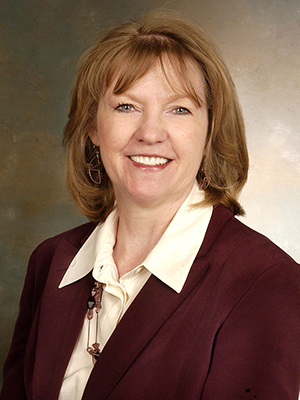 Elizabeth (Libbie) Bragg, PhD, RN is a Master’s prepared RN with a PhD in Political Science focused on health policy. From 2000 to 2010, she was co-investigator for the Geriatrics Workforce Policy Studies Center and has co-authored over 20 peer-reviewed manuscripts related to geriatrics training and practice. She is a member of the American Geriatrics Society’s Public Policy Committee and Relative Value Scale Update Committee. In 2008, she was a first cohort Health and Aging Policy Fellow, which is affiliated with the American Political Science Congressional Fellowship Program. As part of her fellowship, Dr. Bragg worked on geriatrics workforce issues and Medicare issues. Currently she is an Assistant Professor in the School of Nursing at Xavier University in Cincinnati.